We've initiated one of the most coveted traditions in all of childhood- the sleepover. That's right! Friday, January 13, 2012 was the first sleepover at The Skeen House. Would I have picked a different date, had I known it was Friday the 13th? Probably, but it all turned out just peachy anyway. We left school, with friend in tow, and headed straight to Muddy's Bake Shop. You can't have a sleepover without a sweet treat! 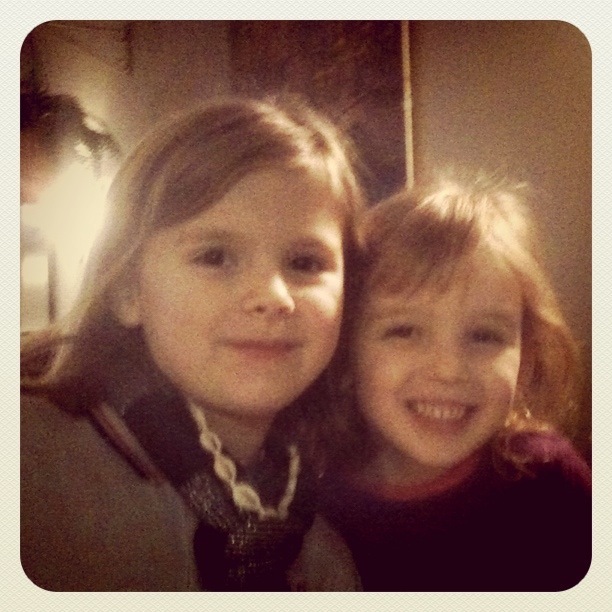 Once at home, the girls changed clothes about seven times. Sequined cheerleaders, gossamer queens- I believe there was a hula skirt in there somewhere. The girls settled on jeans before we went to Memphis Pizza Cafe for dinner. It was on the way that I was schooled on the difference between skinny jeans and pajama jeans. Sure, we could've ordered pizza and stayed at home. But that would take them 10 minutes, leaving me an additional lot of time to ensure they are getting along and entertained. It was during dinner that our sleepover friend informed us that she had to leave her last sleepover because she missed her mom. Uh-oh. After the girls packed away half of a cheese pizza, killing an hour or so of sleepover time, we headed back home. The girls serenaded us with their version of the song Dynamite by Taio Cruz. Because I know you are wondering, I want to state for the record: 1) Janie Kathryn learned this song in gym class, not at home. 2) No, she has never seen the music video. With that said, it is actually pretty entertaining to hear two six year old girls sing this song. Once home, the girls changed clothes about 7 more times before they settled down to watch a pre-bedtime movie- Barbie as Rapunzel (Janie Kathryn's 100th time watching it). Nine o'clock came and went with under-cover-giggles aplenty. Nine-thirty came and went and the bedtime music had to go with it. 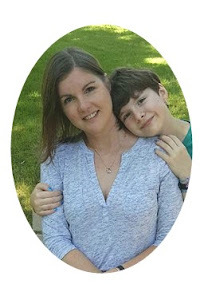 Apparently, Janie Kathryn's Beach Boys bedtime genius mix reminded our guest of her mom. Mom has good taste. As ten o'clock approached, I was invited into the slumber fun. Well, no slumbering, but fun all the same. Five minutes later, both girls were sleeping like babies, which they did until 6:30AM. So, we made it through the night! No fights, no tears, no going home. In the morning the girls did a decent job of playing quietly, while Jorma and I tried to sleep a little later. There was a short time where they thought they would pretend to be in a band. I put the kabash on that rather quickly. 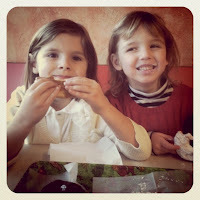 To bid farewell to our sleepover friend, we went to Gibson's Donuts- a final touch for a fun first sleepover! When I booked Janie Kathryn's birthday party at The Peabody Hotel it didn't really occur to me that this party was years in the making. Flashback to my days as an employee of the South's grand hotel... I used to book tea parties for little girls and I mentally filed the idea away for my own little girl. Girl she is, little she's not. 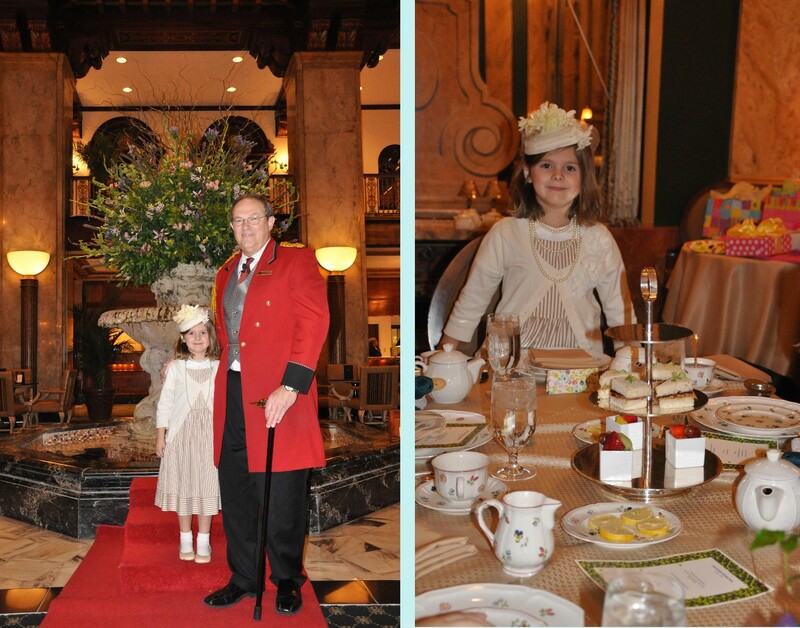 The Peabody was the perfect party for my precocious Janie Kathryn! Equal parts smart and girly. 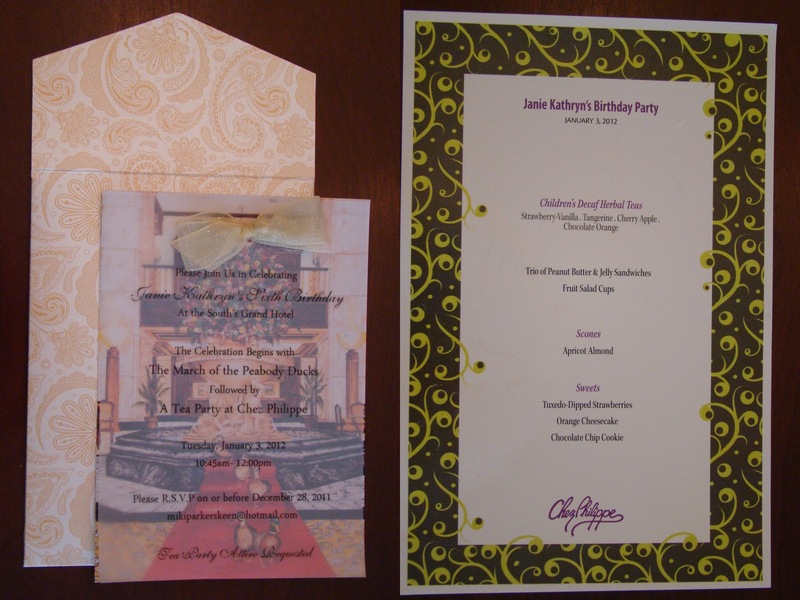 The envelopes were Thick-e-lopes with gold paisley metallic sheen, from Paper Presentation. The invite was vellum over a beautiful image of the Peabody fountain and ducks, tied together with a glittery gold ribbon. It was a very formal invitation, befitting a tea party at Chez Philippe. When I finalized the contract back in August, yes, August, I made up my mind that the girls would likely not eat a thing and that I was paying for the beautiful atmosphere of the hotel. I based this assumption on two things. 1. Kindergarten girls are extremely picky. 2. The Peabody typically caters to a more sophisticated palette. I was delightfully surprised by the menu on which we agreed. "We" being me and my catering manager, Brandon, who was the middle man between me and the hotel chef. Poor Brandon. The menu was a whimsical combination of a child's tea party and the traditional elegance of English-style afternoon tea at The Peabody. The girls enjoyed all three courses- everything except the tea. Go figure! No tea party is complete without fancy hats. In keeping with the integrity of the venue, I explored the aisles of every antique store in Memphis, trolled the auctions of eBay, and even searched through the closets of Janie Kathryn's great-grandmother...all for vintage hats! I displayed the hat selection, with my traditional birthday sign, on a table at the entrance to the restaurant. After Duck March, the girls got to choose the hat they wanted to wear during the tea party. All except for Janie Kathryn, who wore her hat all morning and during Duck March. Ah, the march of the Peabody ducks, Janie Kathryn's favorite part of her birthday. That's because my sassy six-year old was honorary Duck Master for the morning Duck March! She was so excited to have this special birthday privilege. She had a hard time sleeping the night before. Okay, so I had a hard time sleeping too! After reciting a brief history of the ducks to the crowd in the lobby, Duck Master, Doug Weatherford, escorted Janie Kathryn to the rooftop of the hotel,where they led the quartet of waterfowl (the fifth duck needed her beauty sleep) back down to their daytime residence- the lobby fountain. 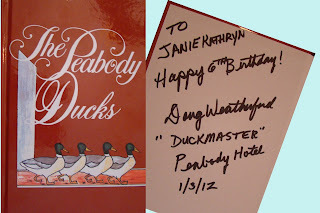 Janie Kathryn received many fun birthday gifts and Duck Master Doug even autographed a book about the Peabody Ducks. Fancy friends, indoor ducks, vintage hats, tea and scones...what a birthday! It kinda raises the question...What on earth will we do next year? I guess I better start planning!